What percentage of the LLC does each member own? Who will manage the day to day affairs of the LLC? In what proportion will profits be distributed? How can members sell their portion of the LLC? What are the voting rights? Can members compete with the company? Think about a two person LLC. John and Greg agree to a 50-50 split on everything. They’ve been working together for years. They started the LLC together. Two years later, with the business booming, John decides to sell their share to someone completely unknown to Greg. Without an operating agreement, Greg is powerless to stop John’s sale. Now John is partners with someone he knows nothing about. While hiring a lawyer may not be on the top on the list for a small business, it really should be. These issues are much more difficult and more expensive to deal with once they become issues. It is like ignoring going to the doctor to treat a small issue and finally going when you need major surgery. Figuring out and planning out these issues are crucial for any small business. That is why your LLC needs an operating agreement. One of the things I often hear from clients charged with a DUI is that “I had a prescription for that medication.” In the State of Florida, that is not a legal defense for a DUI as we will likely see from the recent arrest of Tiger Woods in Palm Beach County, Florida. Tiger Woods was arrested this weekend on suspicion of DUI. He took a breathalyzer test and blew a .000, meaning there was zero alcohol in his blood. This does not mean that he will be able to walk away without a conviction though. He stated to police that he takes several medications, and this morning he gave a statement that this was caused by an “unexpected reaction to prescription medications.” Although the fact that it was a prescription medication can be used as mitigation in order to possibly negotiate with the State Attorney to knock the case down to a lower charge, the law does not make an exception for whether the medication is prescribed or not. There is one final caveat. As you can see above in 2, the substance must either be alcohol or a substance set forth in those above two statutes. While medicines like Ambien and Promethazine can certainty impair ones normal faculties, they are not listed in the above statutes, and one cannot be convicted of a DUI based upon taking medicines like these. Obviously one should not drive under any substance that can cause impairment. Last month, Tiger had his fourth back surgery, a spinal fusion. I am speculating that at least one of the medicines he was prescribed was a controlled substance under chapter 893. Also, according to the probable cause affidavit, Tiger agreed to a urine sample. Soon we will see exactly what type of medication he was on. Ultimately, whether he has a prescription to these medications will not be a legal defense. The Supreme Court recently held that those who have had a criminal conviction overturned, but had paid restitution while awaiting the outcome of their appeal, must be refunded that money. Some may be left scratching their head that this made it all the way to the supreme court, but it was not a unanimous decision. Despite the fact that their convictions were overturned, the state of Colorado insisted on keeping the restitution. This case, titled Nelson v. Colorado, was a 7-1 decision, with newly appointed Justice Gorsuch sitting this one out. Justice Thomas was not convinced that those who had their cases overturned had “any substantive entitlement, under either state law or the constitution” to the previously paid money. He reasoned that since the defendants were not wrongly deprived of the money, the state did not have to provide a process for its return. UCLA law professor Stuart Banner and the UCLA Supreme Court Clinic appealed the case for Mr. Nelson and noted that Colorado was the only state that regularly refused to refund money from those whose convictions were overturned. The State of Florida has one of the strongest protections for those claiming self-defense in the entire country. Now, that protection is almost certainly going to get even stronger. A technical change to how these cases play out in the courtroom will make it easier than ever for someone to prevail on a self-defense claim. If one is charged with using or threatening to use violence, they can raise self-defense in all 50 states. However, in Florida, one gets the ability to raise this defense before having to go to trial. In this sense, a defendant can get two bites at the apple. First a defendant can raise self defense in a pre-trial evidentiary hearing asking the Judge for immunity from prosecution. Then even if the defendant loses this hearing the case continues. They have not been convicted of any crime and they can still proceed with a self-defense claim at trial. Previously at these pre-trial hearings, the defendant had the burden of proof, to prove that their actions constituted self defense. Now, once the defendant provides some competent evidence that his or her actions constituted self defense, the government must prove by clear and convincing evidence that the defendant’s actions were not self defense. This change is assuming, as widely expected, Governor Scott signs SB 128. I have had many of these hearings, and they are usually very much toss-up, “he said-she said” situations. Now these “toss-ups” should be ruled in favor of the defendant much more frequently because the burden of proof will be on the Government. Thus Florida’s broad “Stand Your Ground” law is set to expand even more. Many Estate Planning attorneys are not prepared for the modern era. At this point, very few attorneys are creating a plan for disposition of digital property. Digital property is not cell phones and tablets, but the information stored on them. This can include information stored on Facebook, Twitter, blogs, websites, and more. Some may think they do not need to worry about these accounts because they have no value. This line of thinking is categorically incorrect. Much of this information holds immense sentimental value, including communications, pictures and videos. Other assets may have more economic value including business websites, frequent flier miles or even bitcoins. Still others have a large digital library of books, movies or songs. Even online accounts with stored credit card information should be properly disposed of, as identity theft, even for those who have passed, is becoming more and more rampant. In 2016, Florida became the first state in the nation to pass legislation adopting the Uniform Fiduciary Access to Digital Assets Act (UFADAA). These rules require specific triggering language in a trust, power of attorney or will, otherwise this digital property will be inaccessible. Using generic catch all phrases or including digital assets in one’s “entire estate” will not be enough. A family member or loved one could even potentially be criminally prosecuted if they try to access digital property without the correct triggering language under the UFADAA. Please hire an estate planning attorney who is familiar with these recent legal changes. Call us today if you have any further questions. What are your rights if you are involuntarily bumped from a flight? Most airlines will regularly overbook flights. Often the airlines will ask for volunteers to be bumped, however as we have seen in recent news, there are often not enough volunteers. The Department of Transportation requires airlines to give each passenger who is bumped involuntarily a written statement that both describes their rights and that explains how the carrier decides who gets on an oversold flight and who doesn’t. If you are bumped involuntarily and the airline arranges substitute transportation that is scheduled to get you to your final destination within one hour of your original scheduled arrival time, you are not entitled any compensation. If the airline arranges substitute transportation that is scheduled to arrive at your destination between 1-2 hours after your original arrival time (and between 1-4 hours on international flights), the airline must pay you an amount equal to 200% of your one-way fare to your final destination that day, with a $675 maximum. If the substitute transportation is scheduled to get your to your destination more than two hours later (four hours internationally) or if the airline does not make any substitute travel arrangements for you, the compensation doubles to 400% of your one-way fare with a maximum of $1350. If you paid for optional services (seat selection, checked baggage) and you did not receive those services on your substitute flight, or had to pay again, the airline that bumped you must refund those payments to you. Remember, if you are bumped involuntarily you have the right to insist on a check. They cannot force credits or free flights upon you. The rules are a little more complicated than this, but these are the basics.  If you have any questions about the above information or about any legal matter, call Nathan Nevins Law at 954-249-3144.